Ferney-Voltaire (France). 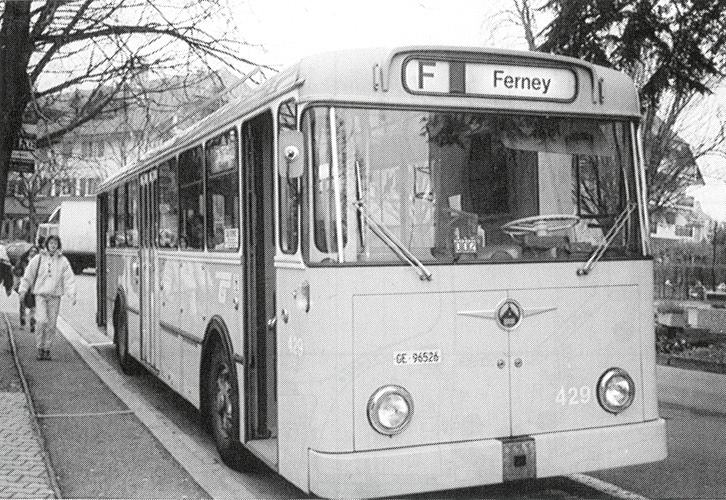 Terminus of line F. An old Saurer on one of TPG trans-border lines connecting Geneva with a small French town. The picture is from a brochure for Ferney-Voltaire from the early 1990s. Unfortunately the author is unknown.